Suffering from some 'Ringer' withdrawal, I decided to watch this thriller starring Sarah Michelle Gellar in hope of being relieved. Whilst taking on Roman's assault case, lawyer Jess (Sarah Michelle Gellar) meets and later gets married to his brother Ryan (Michael Landes). After his release from prison, Roman (Lee Pace) comes to live with the couple after being rejected by his father. 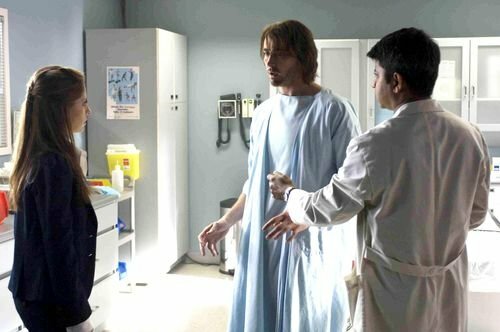 Upon overhearing Jess complaining about him, Roman flees the next day and as Ryan tries to find him, the two get into a car accident, resulting in both entering into a coma. As Roman wakes up, all his memories are Ryan's, as if he has been possessed. Will Jess accept this new Roman? Or wait for Ryan who may never wake up? The premise to the movie was promising- a kind of dark body swap thriller mixing in spiritual themes and the unexplained alongside a romantic/dramatic storyline. The pacing to the film was good and many times tried to mislead you into thinking certain things about Roman's condition, which definitely added tension as we await to discover the reason for his change. However, the inclusion of such themes were not successfully developed, with a focus planted on Jess and Roman's relationship opposed to any spiritual domain, with jumps and thrills coming in the first ten minutes then completely dissolved into some romantic drama. And this is just what this film is. As the plot heightens into its climax, the movie quickly escalates into a tragic resolution and the revelation was not at all shocking and despite the good action towards the end, the catharsis was unsatisfying and dull. 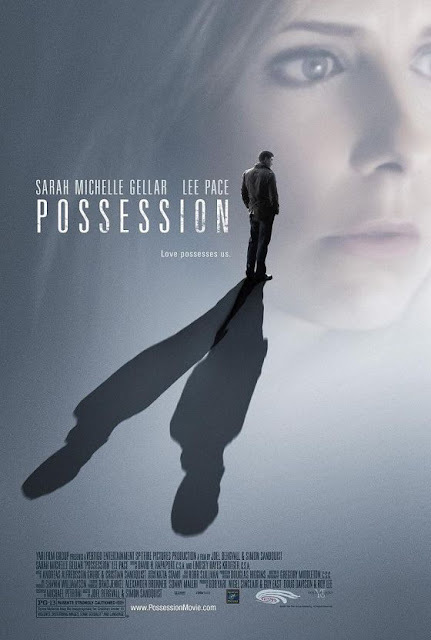 Masked as a psychological thriller, 'Possession' does not satisfy the viewer but rather throws out a dramatic romantic dilema with a few jumps and thrills within. The spiritual aspect was introduced but not developed and the conclusion was half-hearted, simple and dull. The confused, dazed look of Sarah Michelle Gellar in this film definitely satisfied my 'Ringer' craving, it was as if she jumped right off set and landed into this movie, but the movie itself was completely formulaic and uninteresting, no twists or turns, just one straight line of boredom.